October is National Karastan Month and Kermans is the best place in Indianapolis to celebrate. Why should Central Indiana homeowners head over to Kermans Flooring in Castleton before November 6? Karastan has been an innovator in carpet and rug making for more than 80 years. Their quality is well known and they have colors, textures and patterns that work in any style decor. Karastan has also made great strides in creating beautiful carpets and rugs that are environmentally friendly. Easy to clean. Strong and durable. Crush resistant. Comfortable. You can feel good about purchasing a Karastan carpet or rug for so many reasons. 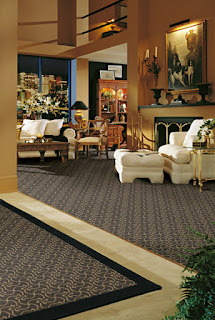 Kermans is proud to carry some of the best-known names in high quality carpet. We have the selection and prices to fit your budget and needs. Please stop by our showroom today to see our carpet selection first-hand - and be sure to ask about our Karastan Month specials. There is no better time to purchase carpets or area rugs for your home.